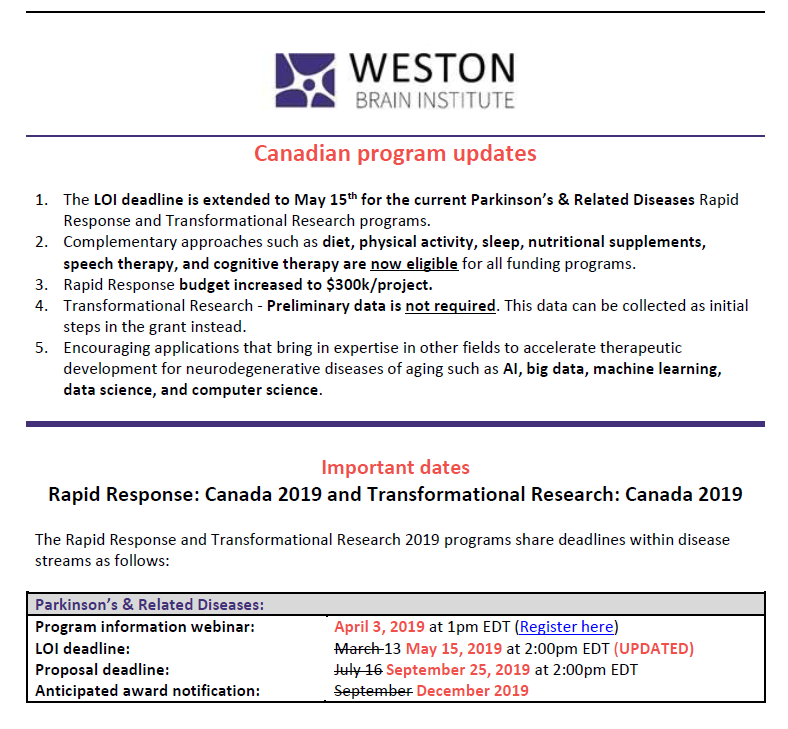 The Weston Brain Institute has up to $10m in funding available through the 2019 programs that are currently accepting applications. A full list of programs can be found here. 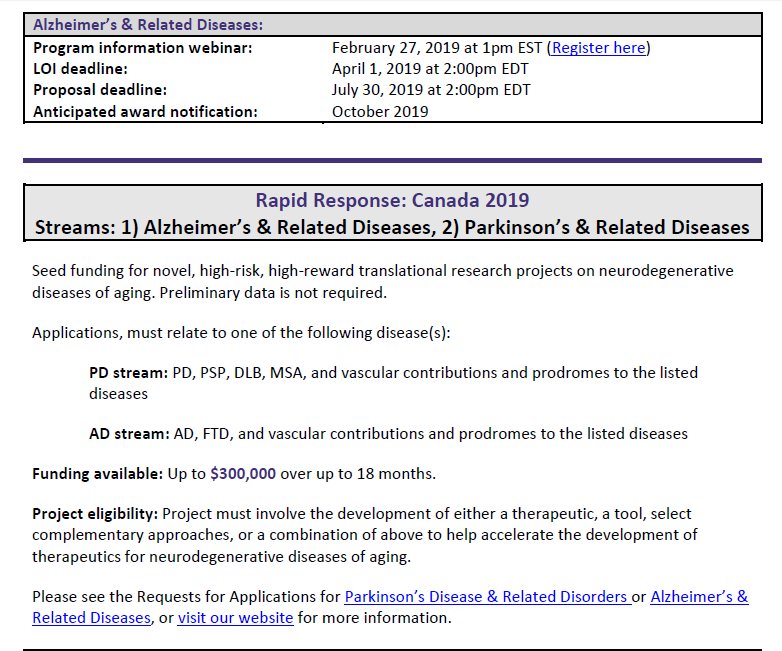 In particular, please note that the deadline of the Rapid Response and Transformational Research Canada 2019 Parkinson’s & Related Diseases program has been extended. The LOI deadline is now May 15, 2019. 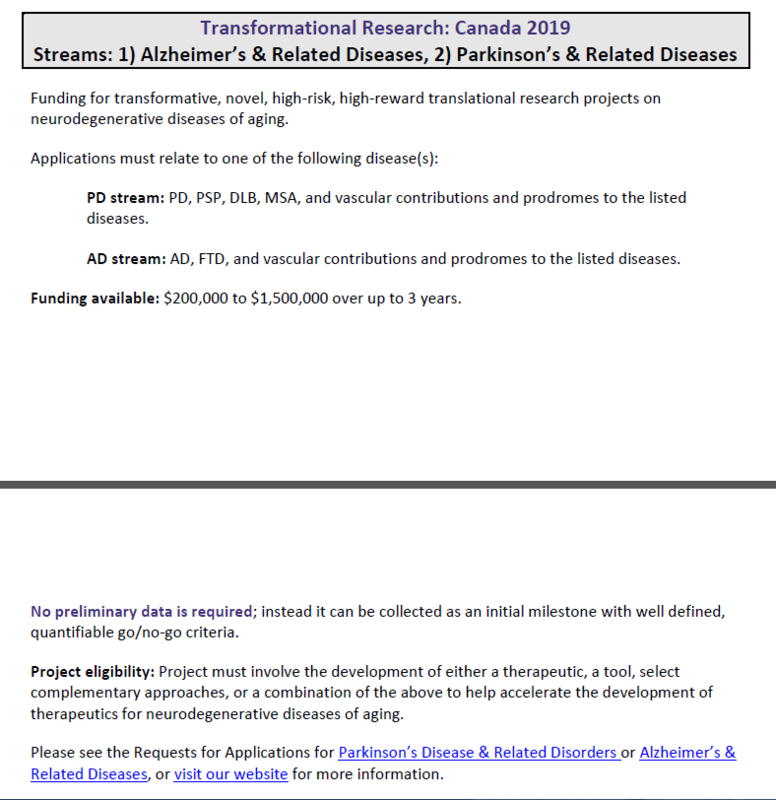 Several exciting changes have been made to these programs, including increasing the Rapid Response budget to $300,000 and allowing more kinds of interventions such as cognitive therapy. More information is on our website and on the attached document.